MOSCOW, September 22. /TASS/. The first launch of a Soyuz spacecraft on a new two-orbit flight scheme in which it will orbit Earth two times en route to the ISS, is scheduled for December 2017, a source from the aerospace sector told TASS on Friday. "A manned flight of a Soyuz craft on a two-orbit scheme is planned already for December of this year, when the crew of a new mission will fly to the ISS. The launch is scheduled for December 17," the source said. Prior to that, the new scheme will be tested on a Progress cargo craft, the source said. 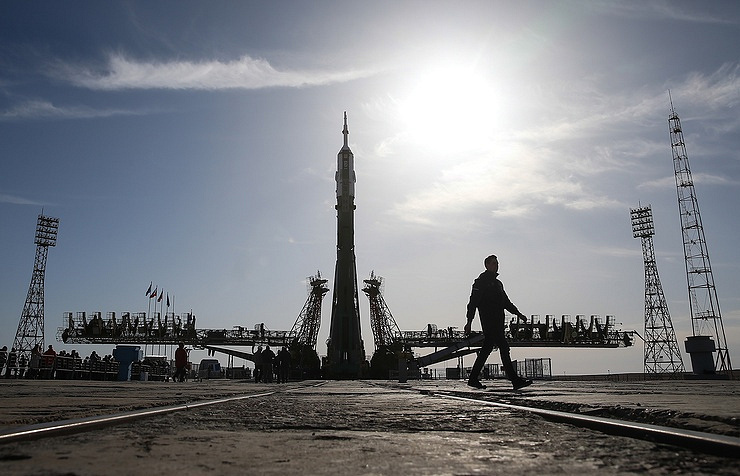 The Roscosmos Space Corporation said "the decision on the launch of a Soyuz manned spacecraft will be made only after the flight of a Progress under a shortened scheme has been analyzed". Under the new scheme, the spacecraft will make two circumnavigations of the globe, which will take three hours. Currently, spacecraft get to the ISS after four orbits, the flight taking six hours. Previously, only a two-day scheme of flights to the International Space Station was used.